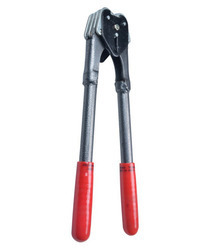 - TEMPERED PARTS , HEAVY DUTY CRIMPING. - ATTRACTIVE RED COLOURED ROBUST GRIPPERS. - Practical and convenient - Seal the plastic bags to keep the food fresh and dry. - Handy - It can be carried everywhere as a result of its mini size. - Airtight and watertight - Not only suits for sealing your snacks bag, but also ideal for the liquid, it won't leak, very magical. 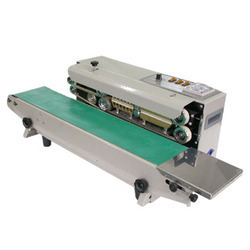 These band sealers are suitable for pouch packing with electronic constant temperature control system and stepless speed adjusting mechanism for conveyor. It can seal plastic films of various materials like polyethylene and polypropylene film recombined materials and aluminium plastic film. Speed: 5 - 10 pouches per minute.